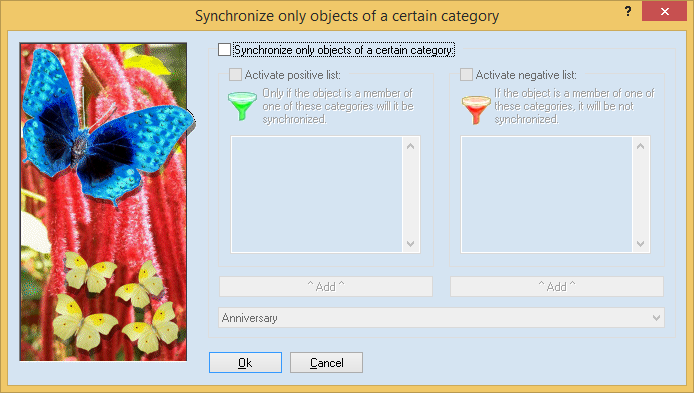 You can use categories to define whether an object should be synchronized or ignored. For this, edit the task. You’ll find the category filter on the "Exceptions" page. The so-called master-list of the categories (the list of all categories that Outlook knows) is not part of the normal PST file or profile and thus cannot be synchronized.